While profit-driven development remains the primary method of shaping Australian cities, unconventional methods of delivering housing are becoming more widespread. Despite urban consolidation policies by Australian governments at all levels, new apartment supply has not placed the necessary downwards pressure on housing prices. Urban planning for Australia's population growth -- expected to double by 2075 -- is often inadequate, and it is important to consider how both public and private enterprise can foster collaborative and flexible urban planning responses. Alternative models that provide high-quality, sustainable and lower-cost housing have the potential to quietly transform the market. Developer Tim Riley offers one of those alternatives, which is precisely why we asked him to speak at our inaugural conference this year and likely why he recently briefed the Committee on Infrastructure, Transport and Cities inquiry into the Australian Government’s role in the development of cities. 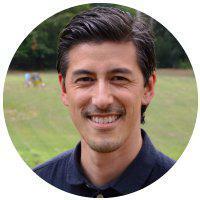 After teaming up with friends to develop a project, Tim founded Property Collectives, which offers a new development model similar to Germany's Baugrauppen ("building group") movement -- bringing people together in a self-initiated, community-oriented approach to the development of housing. The Urban Developer asked Tim to explain, for the uninitiated, what exactly is meant by deliberative or "alternative" development and how alternative models of development can shape the future of our cities for the better. Citizen or community-led medium density developments are becoming more popular across Australia. 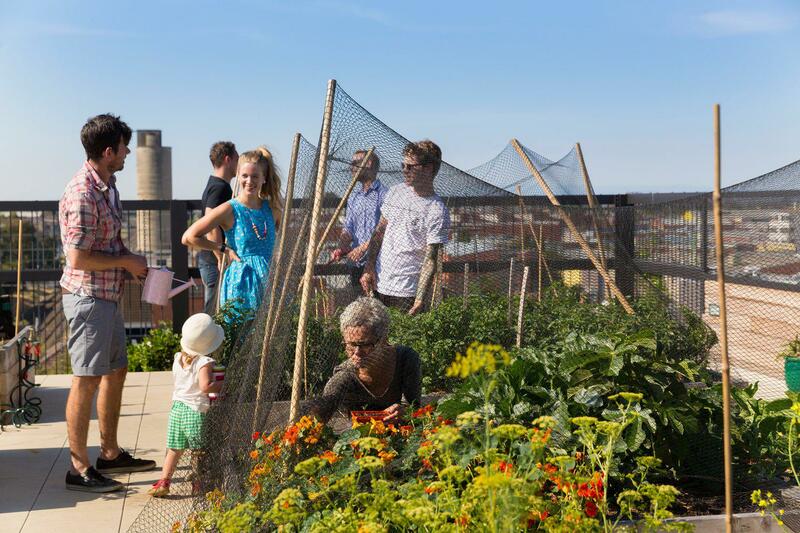 So, what is a citizen or community-led development and do these alternative models have the capacity to shape the future of infill development in Australian cities? What are the opportunities and what are the barriers? Deliberative models are projects where consumers themselves have collectively assumed the role of developer, therefore internalising the developer margin, making significant cost savings and achieving other collective ambitions, such as higher environmental performance and tailored designs." 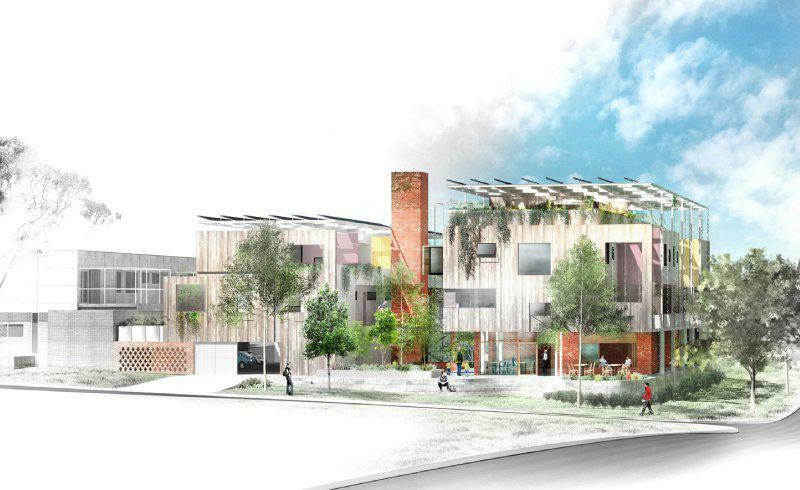 -- Making Apartments Affordable, Sharam, Bryant and Alves, Swinburne University. All these alternate models exist on a spectrum of community initiation. Dr Jasmine Palmer from the University of South Australia has developed a neat construct for communicating the range of models operating in Australia at the moment. The Australian epicentre of community-led development over the last decade has been Melbourne. 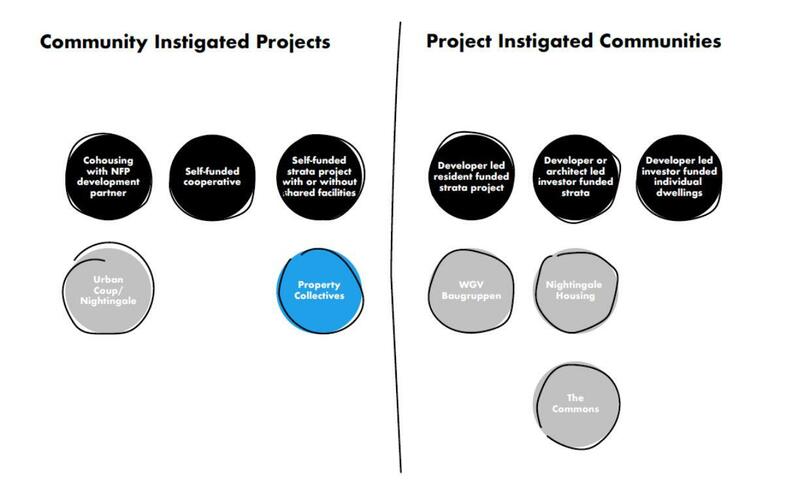 Most of these projects have been centered in the inner north, e.g. The Commons (Small Giants) in Brunswick, Nightingale #1, 2 & 3 in Brunswick, Fairfield, Brunswick East respectively, Westwyck in Brunswick West and our own collectives in Northcote, Thornbury, Brunswick, West and North Melbourne. 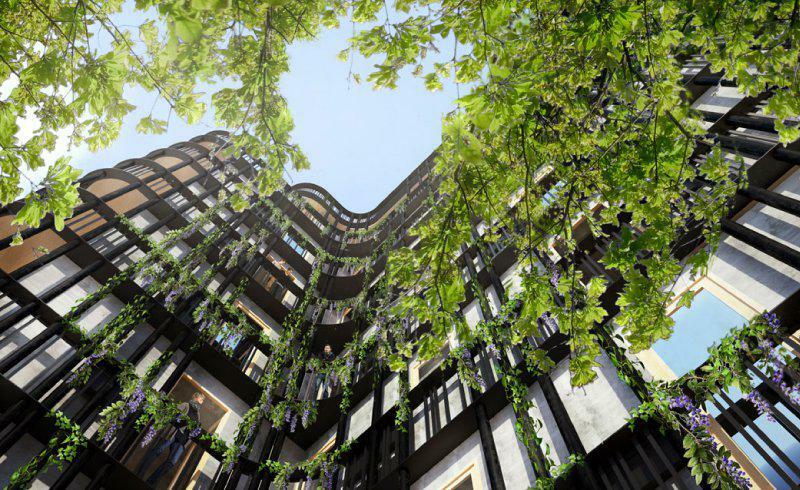 Outside of Melbourne Fremantle has emerged as a hotspot with LandCorp supporting SHAC and WGV Baugruppe in their innovative White Gum Valley development, Fremantle Council’s Quarry Street baugruppe tender and Nightingale Housing’s EHDO project. So, why are more and more people choosing to take their hard earned dollars, turn their back on traditional developers and invest their savings with groups of like-minded family, friends and strangers as well as group of altruistic architects? For me the key benefits for participants are decreased cost, increased quality and control. These benefits also extend more broadly to the community. Citizen-led projects allow the future owners to become the developer, and while they take on the risk, they also benefit from the rewards - receiving dwellings at cost (typically 15-25% less than the market price). Furthermore by acting collectively and boosting buying power collectives can access locations they couldn't afford to access as individuals. Participants get to co-create a space that will meet their long term needs. As the future owners remain in control of the design process and are not motivated by short term profit maximisation, they are free to accept lower returns and invest in higher quality design, better quality materials and pursue loftier environmental objectives. Becoming the developer means that participants can control the costs and quality outcomes. Being in control of the project eliminates all the risks involved in purchasing off the plan and being disappointed by the final product. Joining a group of like-minded people creates community from the start of the project. So upon completion connections and relationships are already formed amongst the new residents.. Controlling the design process also allows groups to experiment. Nightingale Housing are the most high-profile proponents of this with their fantastic zero car projects. Furthermore Nightingale recently received Premier’s Sustainability Award for the built environment. 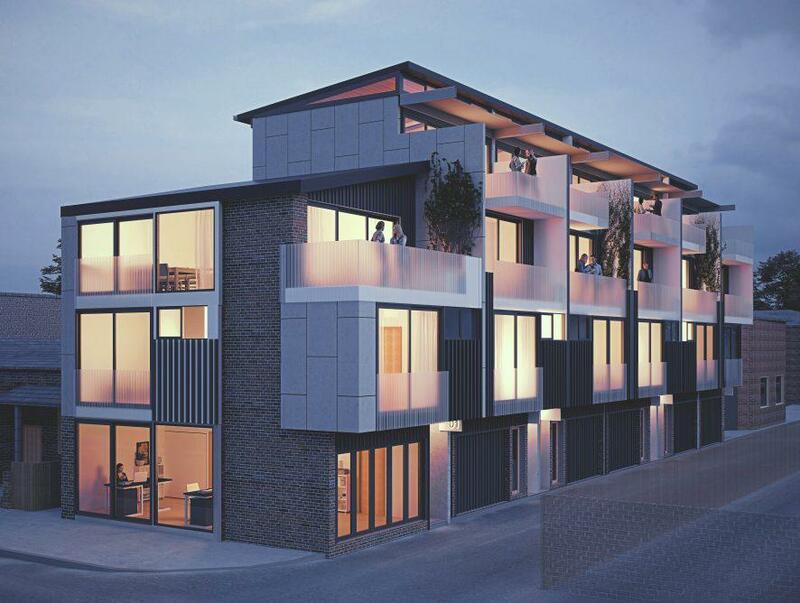 A few of our collectives are developing 4-storey townhouse schemes on circa 50sq m lots. Not necessarily schemes that a for-profit developer would take a risk on. The fact is that today, in our increasingly rarefied property markets, people seeking cheaper but higher quality homes and a sense of community have been largely failed by the traditional model of speculative development. This market failure has meant people are willing to try new things to get what they want. So apart from general awareness what are the key barriers that are preventing more people joining these types of projects? Not all funders are willing to lend to developments that do not fit their typical funding criteria. So it is a challenge to find lenders that are willing to look at things a little differently. Moreover because community led projects typically have participants become the developer, this also means participants must provide joint and several guarantees. A risk that not everyone is prepared to accept. Despite deliberative development models delivering housing at circa 20 per cent cheaper given land, taxes, funding and construction costs still means that housing is still relatively expensive. For example with our Melbourne collectives participants currently need to afford between $850k - $1.1m to receive a townhouse at cost. This is not a budget accessible to many. Not only this, the capital requirement for these projects is circa 30 per cent of costs. So participants need to have a significant amount of capital available. Not a situation many middle income people are in let alone those on lower incomes. Government support is not hindering these models at present as they are operating within current market constraints. However local and state governments could assist community led projects further. From a town planning perspective, simply providing community led developments with access to planning department management from the start of the process or having a fast track process would assist greatly. Perhaps more significantly, involving community led development entities in the master planning or divestment of local or state government owned land would help to significantly reduce the overall delivery cost of projects. The WA LandCorp backed WGV Baugruppe project in Fremantle is a great example of this. The Professor Geoffrey London (University of WA) initiated project enjoys advantageous settlement terms which will save this project thousands in land holding costs. A direct saving to the bottom line that is fully passed on to participants rather than being captured by the developer. What impact could these alternative models have on our markets over the next 10 to 20 years? Berlin is often held up as the global lighthouse of community-led developments. During the 2000s as much as 10 per cent of new supply was delivered by baugruppen. The unique cultural, political and urban landscape present after the fall of the Berlin Wall can’t be replicated elsewhere, but it’s interesting to see what is possible in a supportive environment. It’s also interesting to note that throughout Germany many building groups receive proactive support from local government authorities and lenders. In Melbourne, let alone Australia, I dare say we will never get close to 10 per cent of new supply being citizen-led. But what if we could reach 5 per cent? 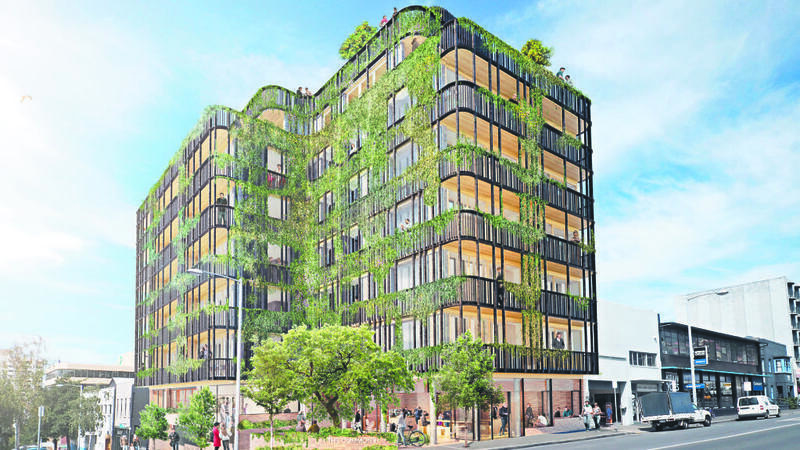 Forecasts suggest around 9,000 apartments will be completed in inner Melbourne this year. If 5 per cent of these completions were citizen-led developments this would total almost 500 dwellings. To date between the 4 announced Nightingale Housing projects and 6 Property Collectives projects there are around 150 dwellings either in planning or being built. Our major cities present a perfect storm for alternative models given the supply and demand in-balance across the first home buyer, upgrader and downsizer markets. While housing affordability is often framed as a lower income or social housing issue, I believe the biggest opportunity for deliberative models to impact positive change is not in the social housing space. Rather its true potential lies with middle Australia. It is the middle incomes earners who are getting stretched by the systemic global and local drivers of inequality. Citizen-led models present middle Australia with an opportunity to take back control of their housing choices. The key to seeing these models gain more mainstream acceptance and achieve scale is a change in thinking from citizens, governments and lenders. Local and state governments should be thinking about devoting some parcels of public land they are divesting to community-led initiatives rather than for profit developers. Citizen-led projects can pay just as much for land acquisitions as for profit developers but will deliver better outcomes for residents and the community. It would be great to see a shift in focus from Private Public Partnerships (PPPs) to Private Public Community Partnerships (PPCPs). Collectives that bring together social housing, assisted rents and general residential have the potential to deliver projects of scale and quality. International examples from cities like Berlin are staring us in the face. Lenders should be structuring their deals to reflect the reduced level of settlement risk inherent in these projects. Pricing that reflects increased security and reduced risk would reduce project costs and higher LCR/LVR lending ratios would reduce the amount of capital required, thereby allowing more people to participate. The other opportunity I see is to empower downsizers to create their own small multi-generational communities in the many large single-dwelling properties proliferating middle ring suburbs. 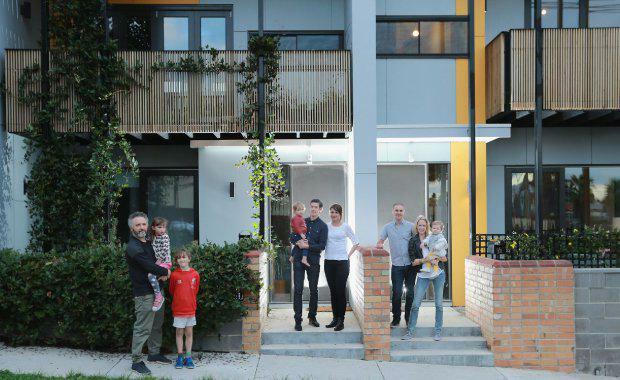 One of our upcoming projects is bringing a group of downsizers together with a few first home buyers and upgraders to co-create their own multi-generational and multi-typology project on a standard suburban block. Taking a “community light” approach to the design will allow the downsizers will be able to design their own future homes for retirement while enjoying shared spaces with their fellow residents. Involving a mix of people in different life stages will create a more vibrant little community. But it will also critically help with financing! If this article piqued your interest and you'd like to keep informed about Urbanity '18, please register here. Tim is the founder of Property Collectives -- a collaborative model that brings people together to develop inner-city townhouse projects.